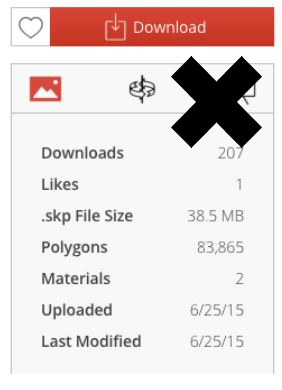 Want to keep your SketchUp File size low and ensure that it renders quickly as you use it? Read on for some of our favourite tips and tricks to ensure your modelling remains agile. Remember, deleting things from the model DOES NOT delete them from the model file. 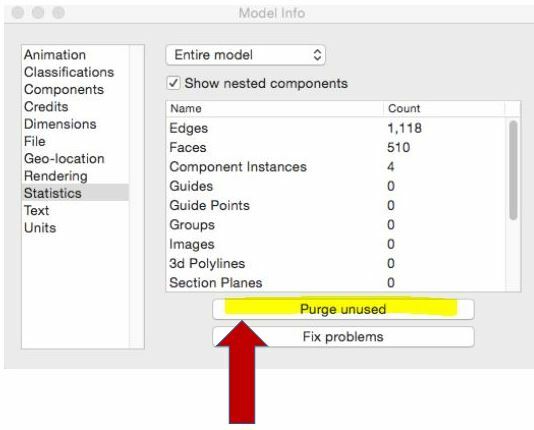 Go to ‘Window’ > ‘Model Info’ > ‘Statistics’ > ‘Purge Unused’ to get rid of deleted Components, Styles, Layers, and Materials. Do it before every big save. This button = your best friend. If your best friend happened to be a button, that is. You wouldn’t go out and buy a new car or television without comparing and shopping around first. Same rules apply when you download a component or model from the 3D Warehouse. 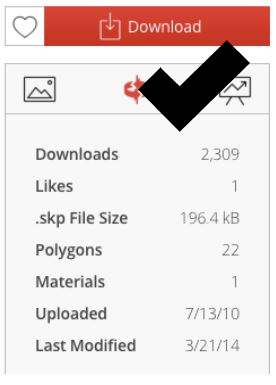 Always check the file size and edge count before you download from 3D Warehouse. Pick the component with the smallest file and edge count that will sufficiently do the job. You can always trade up to a higher quality component later with a “select/replace” technique. Woah there! Sure you need such a large file? If the model is acting sluggish, turn off shadows and fog while working on the model, and before saving. Save the “Working” or “Minimal” scenes without shadows or fog for quick modelling modes. 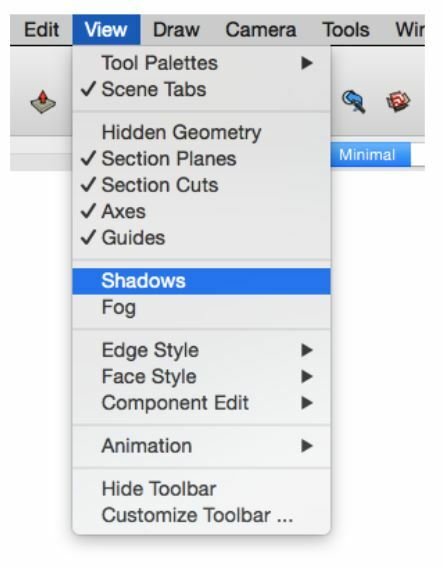 Save specific Scene Tabs with Shadows or Fog for quick presentation views, if the model complexity is small enough to render shadows. Close down other applications – Close any other computer applications that you don’t need to have running. This might clear up some processing power. Keep SketchUp updated – You can check whether a new version of SketchUp is available in SketchUp under Help > Check for update… (PC) or SketchUp > Check web for update (Mac). We’ll get into more of the nitty-gritty of keeping your modelling agile in Part 2. In the meantime, please let us know below if you’ve got any great tips to keep your modelling agile!